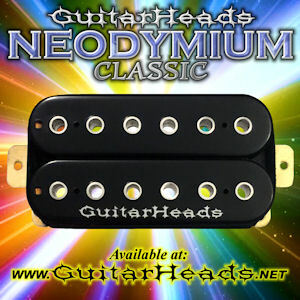 The Guitarheads Neodymium Classic Humbucker provides high output, while maintaining booming lows, crisp highs, and clarity across the full midrange spectrum. 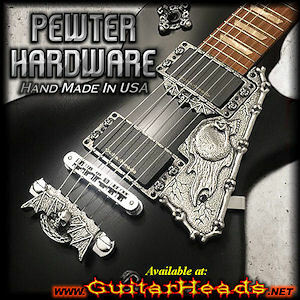 Pewter Hardware, Plates, Covers, Rings, Pickguards & More. 100% HAND SCULPTED, HAND CAST, & HAND FINISHED. Made in the USA. 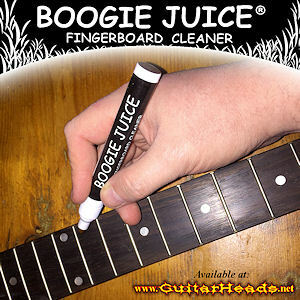 The Boogie Juice Application Pen contains an all natural cleaner designed specifically for the care and maintenance of instrument fingerboards.